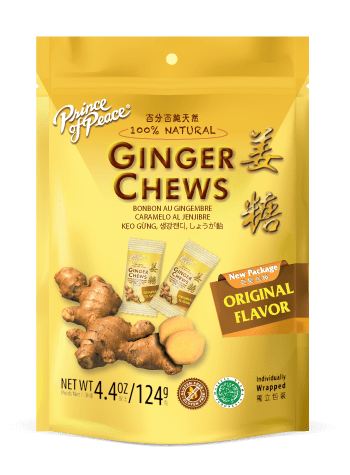 Prince of Peace Ginger | Tasty ways to enjoy the benefits of ginger! GINGER HAS BEEN — USED FOR THOUSANDS OF YEARS IN MANY CULTURES AS A FOOD, AS WELL AS A NATURAL REMEDY. PRINCE OF PEACE BRINGS YOU ALL THE NATURAL BENEFITS OF GINGER IN OUR LINE OF GINGER PRODUCTS. 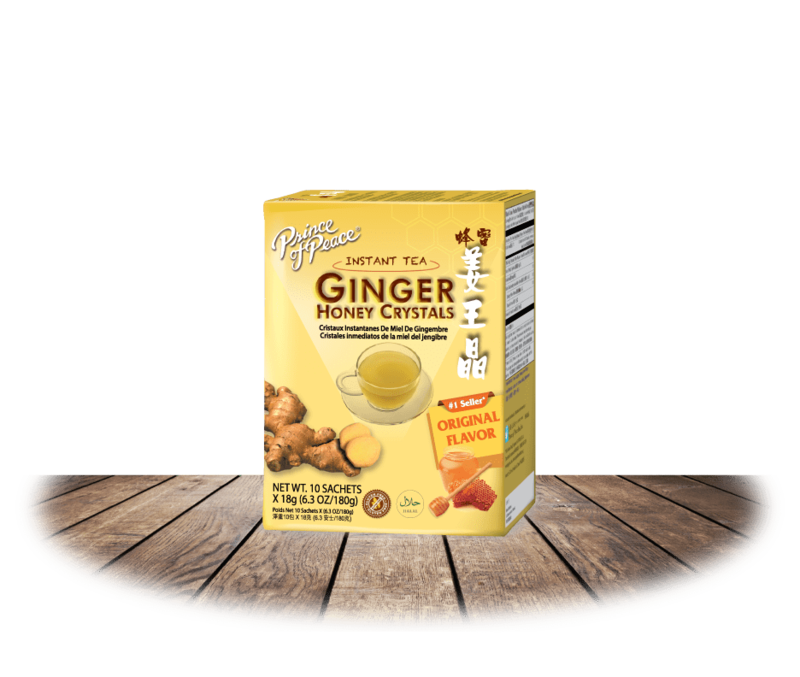 IT’S THE EASY, CONVENIENT AND TASTY WAY TO ENJOY GINGER. 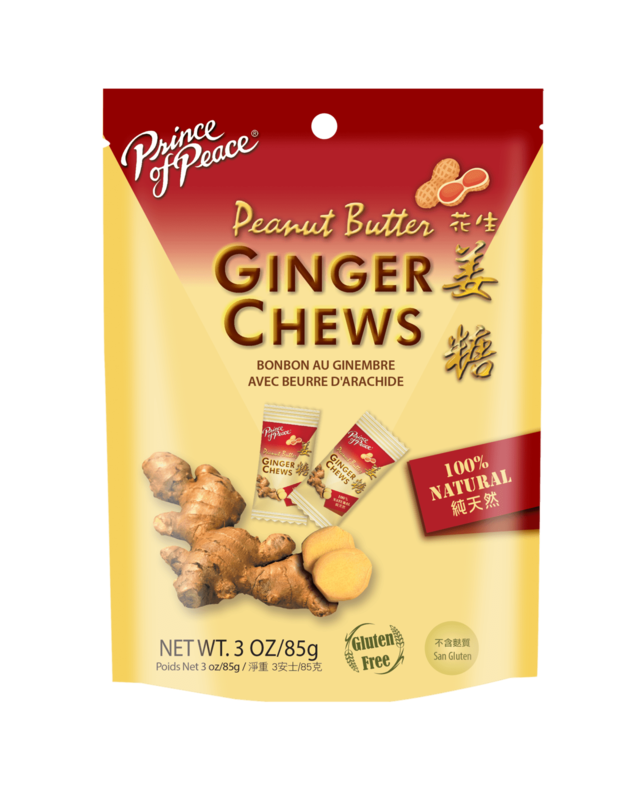 Our Prince of Peace Ginger Chews are a delightful balance of sweet and spicy ginger taste with a pleasant chewy texture. 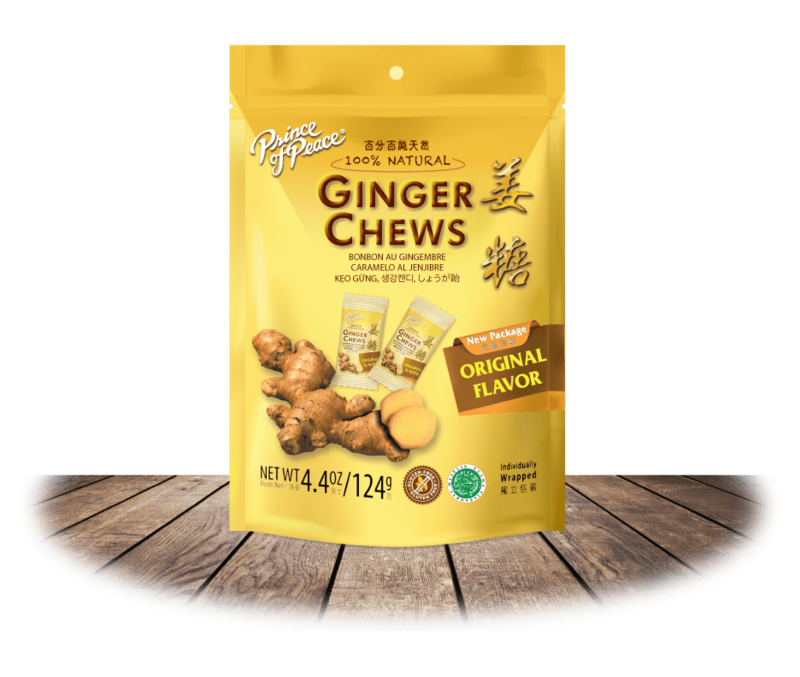 Each Ginger Chew is individually wrapped for your convenience. Unwrap, chew and enjoy! 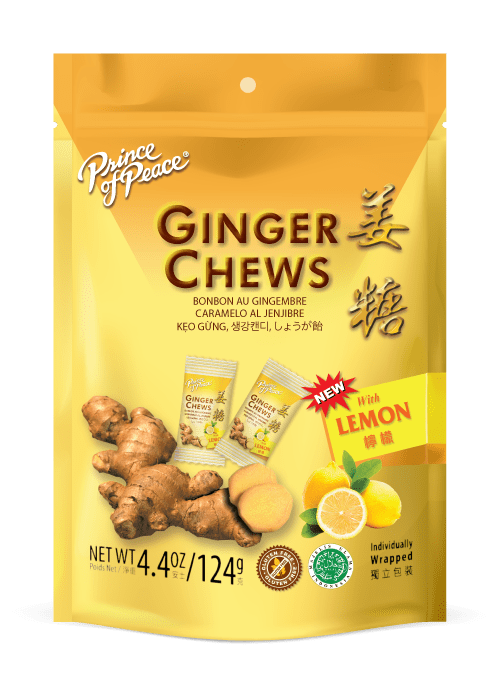 Our favorite Prince of Peace Ginger Chews are now available in Lemon flavor! 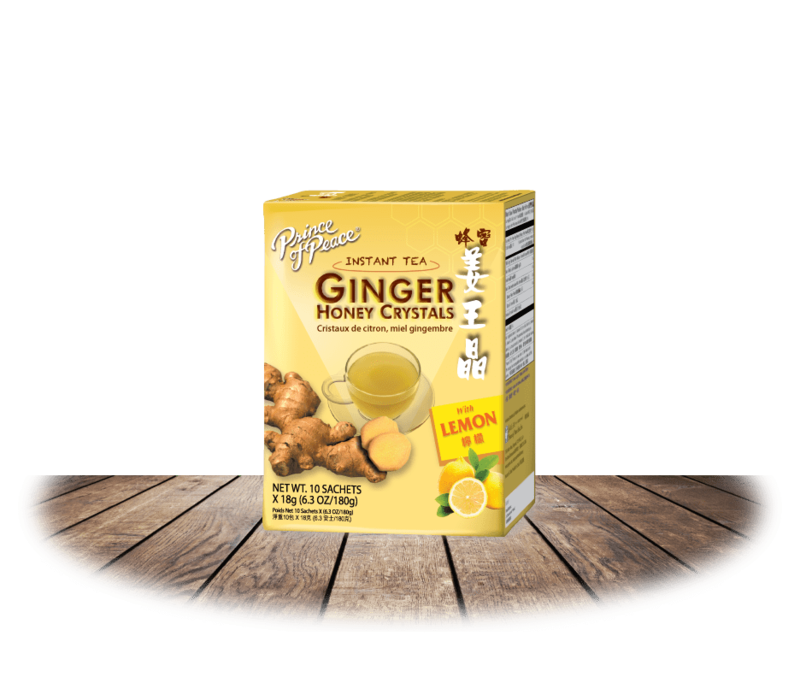 For a more mild ginger experience with a splash of lemon and all the benefits of ginger you’d expect. 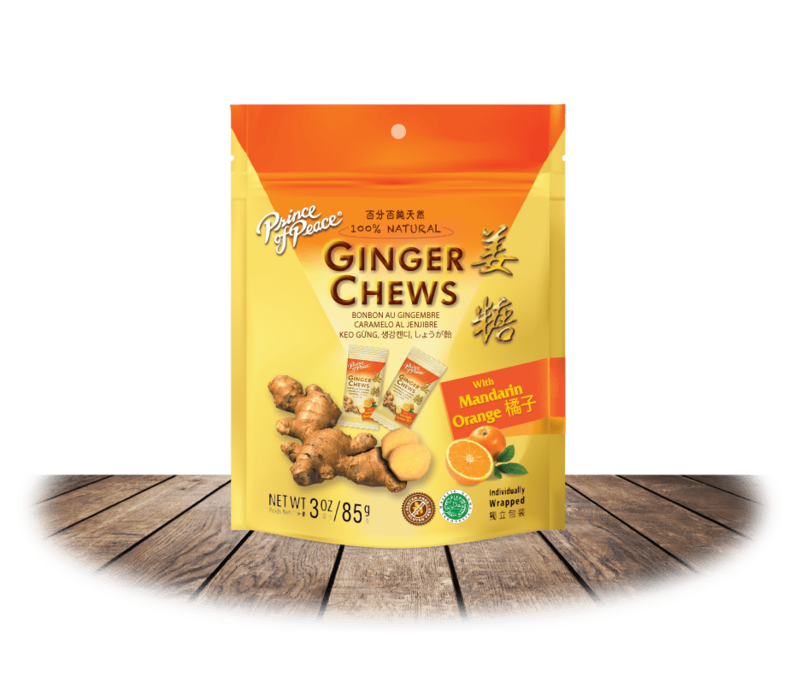 Each Ginger Chew is individually wrapped for your convenience. 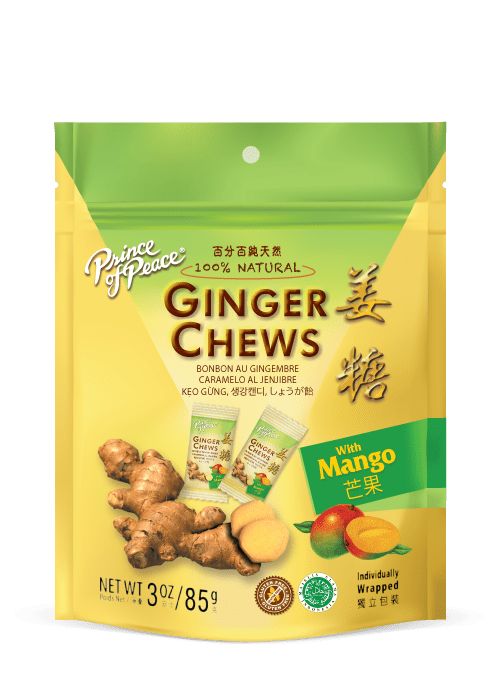 Try Prince of Peace’s new tropical Ginger Chew with Mango. 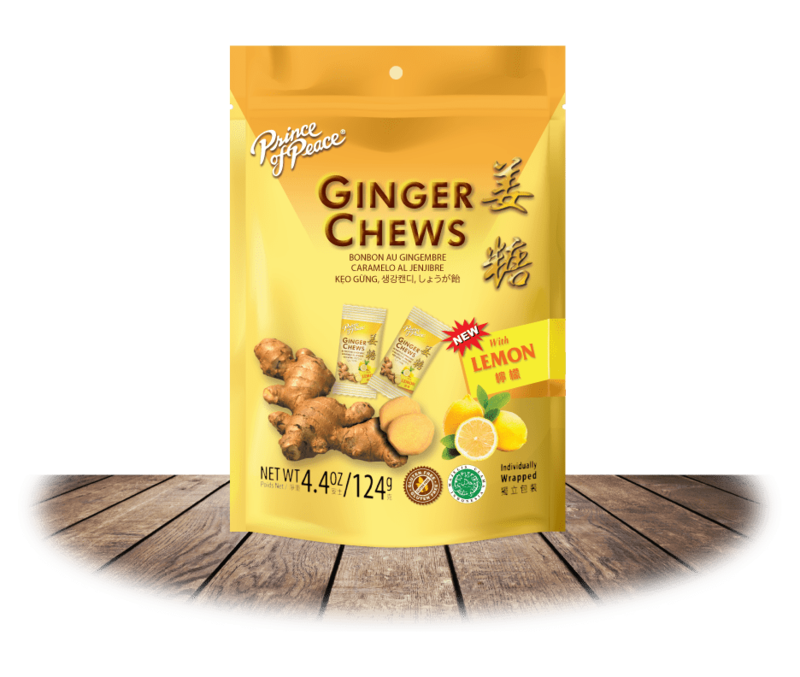 Everything you love about the Original Ginger Chews with a sweet mango flavor. 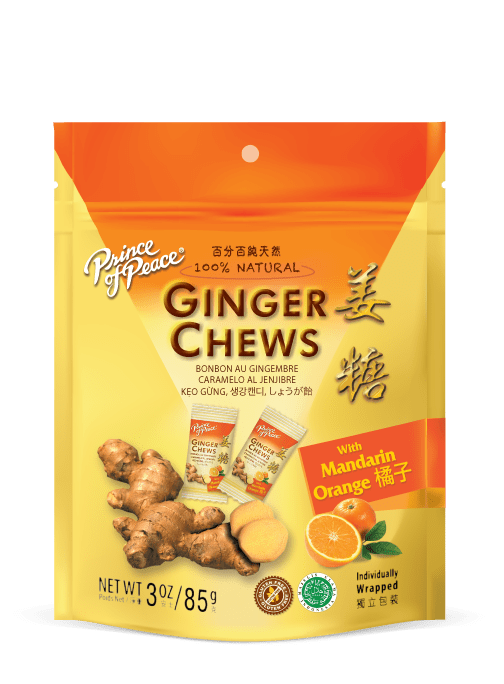 New Prince of Peace Ginger Chews with Mandarin Orange! 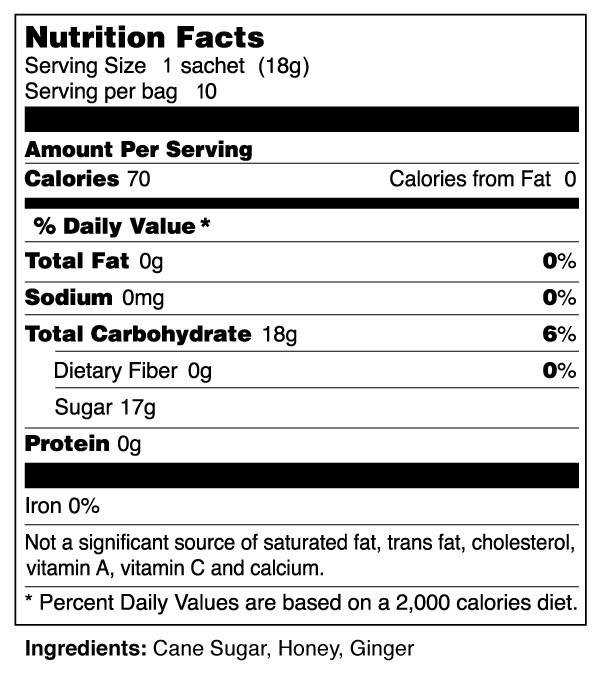 Packed with the same balance of sweet and spicy with an added fruity flair. 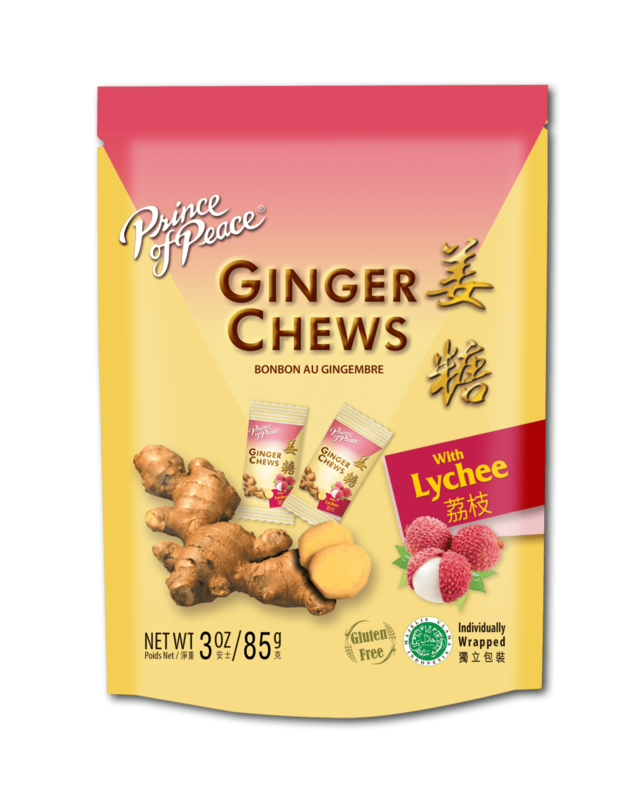 New Prince of Peace Ginger Chews with Lychee! Packed with the same balance of sweet and spicy with an added fruity flair. 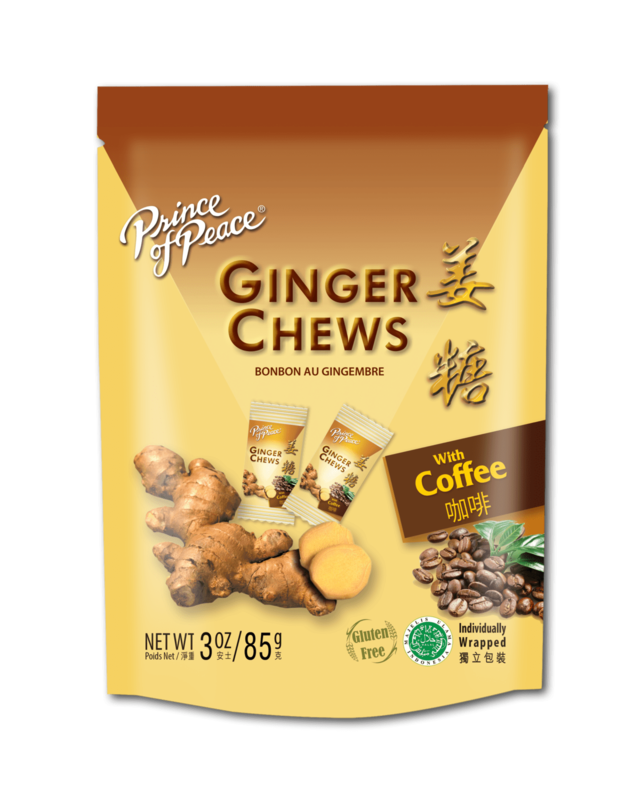 New Prince of Peace Ginger Chews with Coffee! Packed with the same balance of sweet and spicy with the bold flavor of coffee. 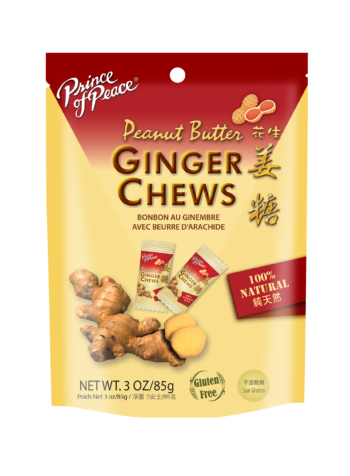 New Prince of Peace Ginger Chews with Peanut Butter! 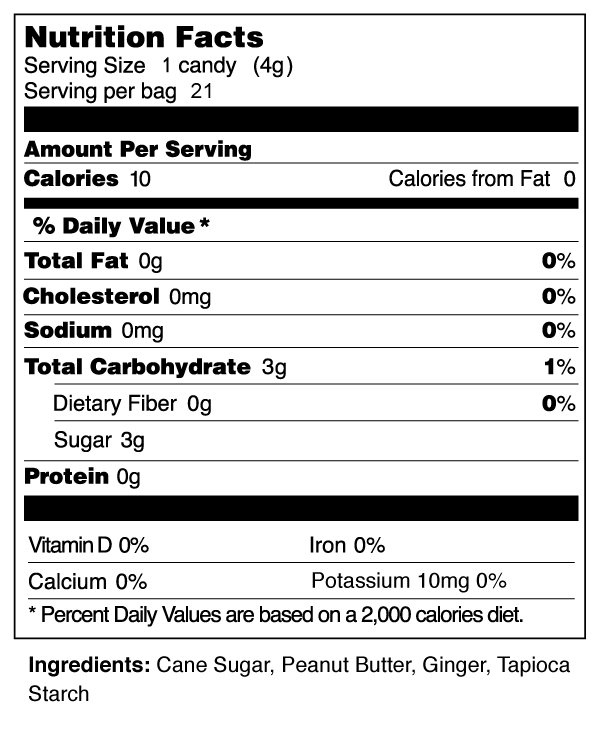 Packed with the same balance of sweet and spicy with the added salty flavor of peanut butter. 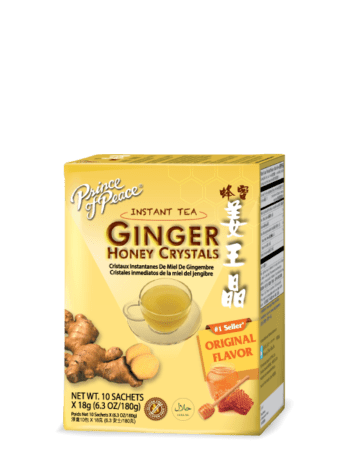 Prince of Peace Ginger Honey Crystals have all the natural benefits of Ginger and Honey in our special proprietary blend of instant tea. 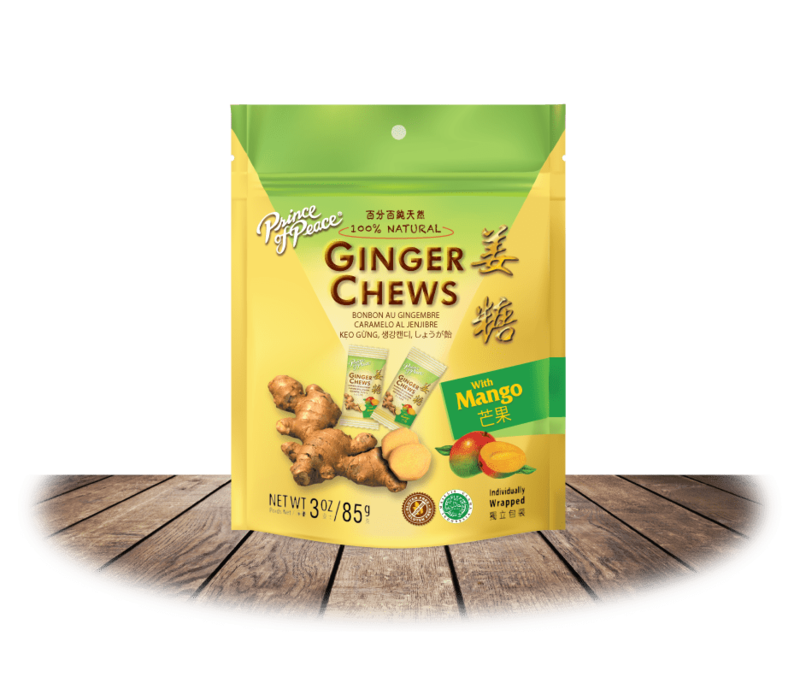 Each sachet contains concentrated extract from 12 grams of raw ginger, which is the base for the appealing aroma and exquisitely smooth taste. 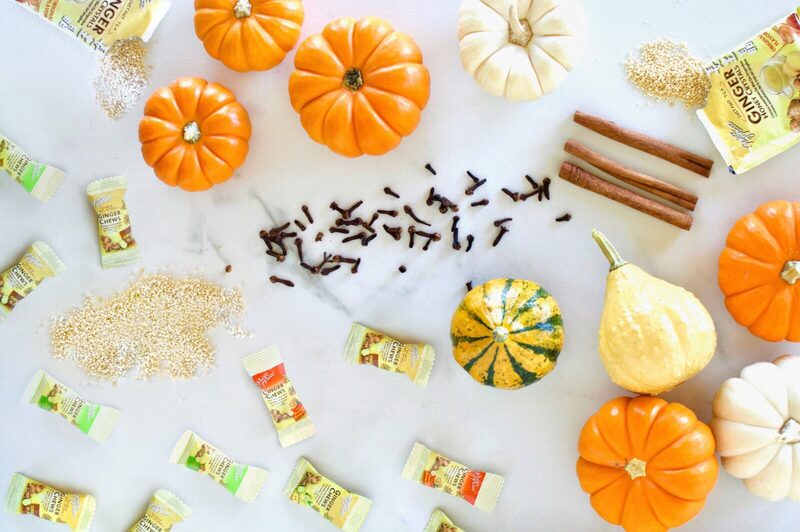 The natural sweet and spicy flavor makes this a year round favorite drink. Served hot, it will warm you instantly from the inside. 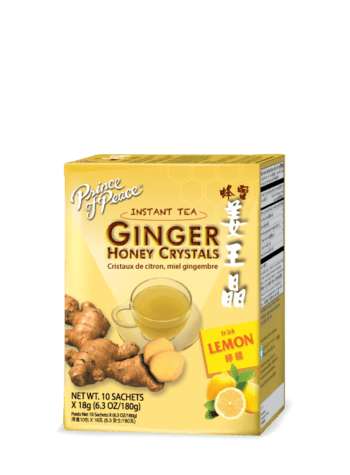 Prince of Peace Lemon Ginger Honey Crystals bring you all the benefits of our original Ginger Honey Crystals with the added flavor of lemon. 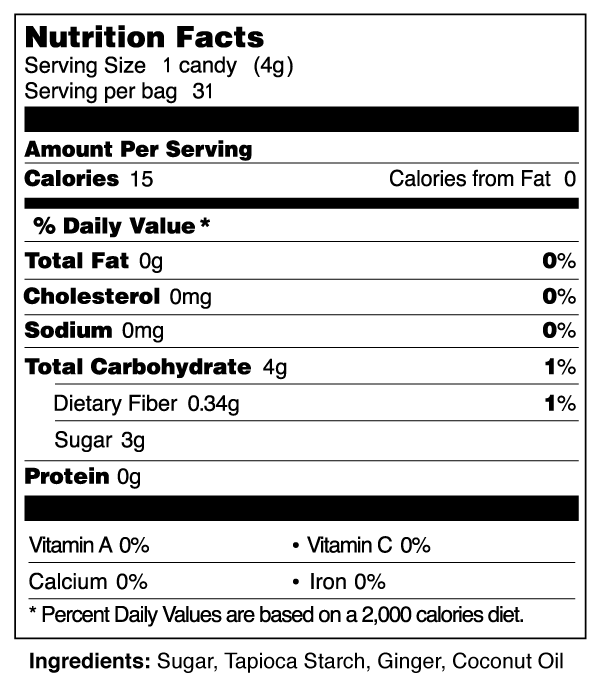 Individually packaged for your convenience. 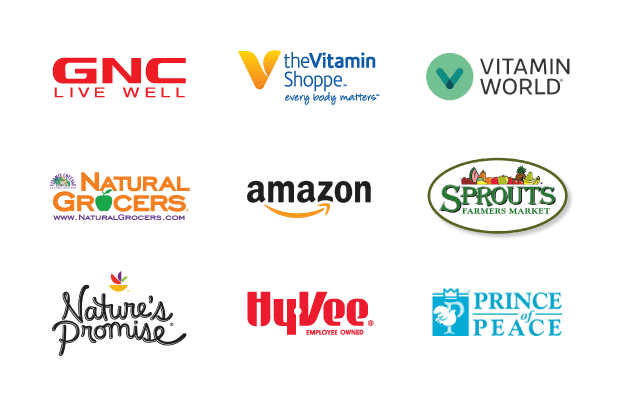 > Supports digestion and can bring comfort to the stomach. 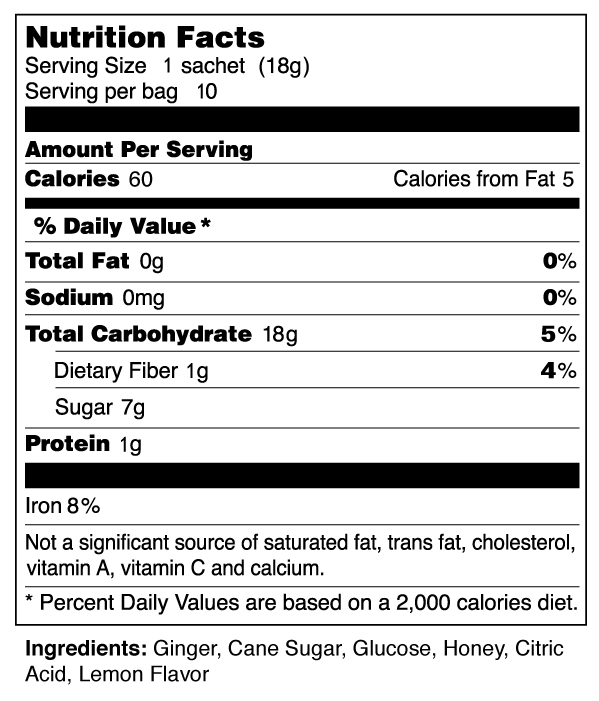 > Contains gingerol, known for its anti-inflammatory properties. > Is warming to the body’s senses, and ideal for cold weather regions and months. 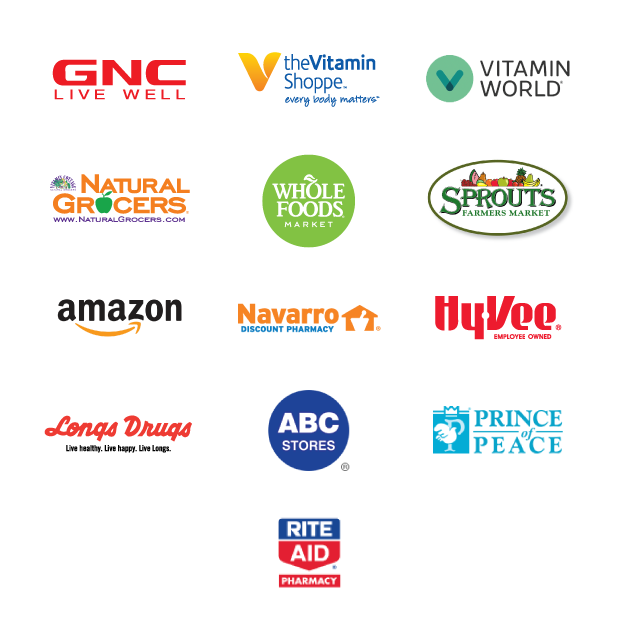 or shop online at GNC.com, VitaminShoppe.com, VitaminWorld.com or Amazon.com. 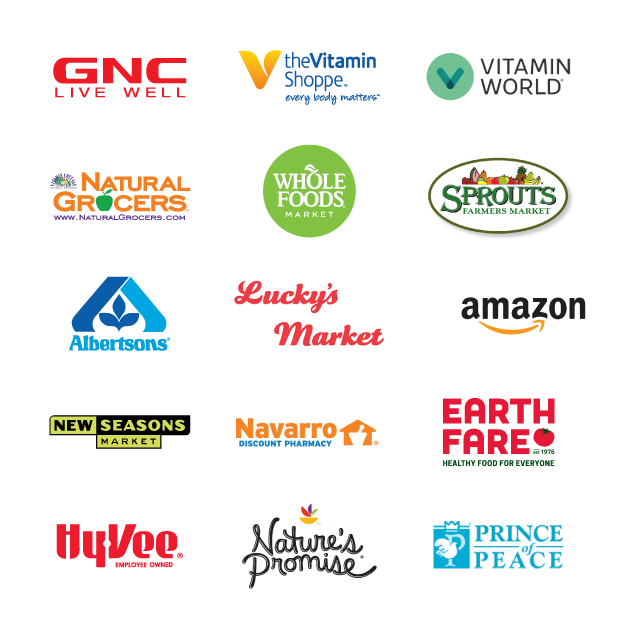 PLEASE CHECK WITH YOUR LOCAL RETAILER FOR PRODUCT AVAILABILITY.